John Wiseman is a Professorial Research Fellow at the Melbourne Sustainable Society Institute and with the Climate and Energy College, University of Melbourne. His other current roles include Adjunct Professor at the Melbourne School of Population and Global Health, Research Fellow at the Centre for Policy Development and Climate Change Policy Adviser, Sustainability Victoria. 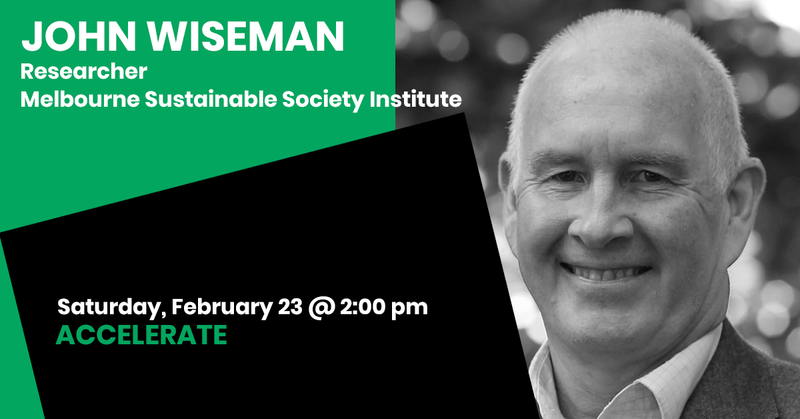 Professor Wiseman’s major research and policy contributions have been in the fields of social justice and citizen engagement; globalization impacts; social, economic and environmental policy frameworks and indicators; sustainability transitions; and climate change risks and solutions.